turnleafproperty.com will not knowingly disclose to any third party your credit card number without your prior consent, except to the extent necessary or appropriate to comply with applicable laws or in legal proceedings where such information is relevant or where turnleafproperty.com believes in good faith that the law requires such disclosure. turnleafproperty.com uses its best efforts to protect your personal information. However, turnleafproperty.com is not responsible or liable for the acquisition of your personal information by third parties without turnleafproperty.com’s knowledge and turnleafproperty.com has no control over anything that occurs on servers not controlled by turnleafproperty.com. This Web site may have links to other sites not controlled by turnleafproperty.com and turnleafproperty.com warrants no level of privacy protection from or by those other sites. In the event that you communicate any information, feedback, data, questions, comments, suggestions or other items to turnleafproperty.com regarding turnleafproperty.com, this site and its contents, or the services offered on this site, any such communication shall be deemed not to be confidential and shall become the property of turnleafproperty.com. turnleafproperty.com shall be free to reproduce, use, disclose and distribute such communication to others, without limitation. turnleafproperty.com shall also have the unrestricted right to use any ideas, concepts, know-how, software, documentation, diagrams, drawings, schematics or techniques contained in your communication in any manner and for any purpose whatsoever including, but not limited to, developing, and marketing products or providing services. Unfortunately, no data transmission over the Internet can be guaranteed to be 100% secure. 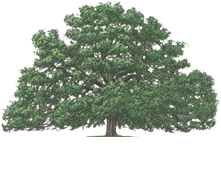 As a result, while we strive to protect your personal information, TurnLeaf Property Management cannot ensure or warrant the security of any information you transmit to us or from our online products or services, and you do so at your own risk. Once we receive your transmission, we use our best efforts to ensure its security on our systems. We need your help in making sure your personal information is correct in our systems. Please notify us of changes to your name, address, title, phone number or email address. In the event you elect not to receive any future contacts from turnleafproperty.com, we will endeavor to remove your name from all of our contact lists; however, information sometimes develops a “life of its own,’ and we can only promise to endeavor to remove you from any lists we control. We shall have no liability under this Policy for our failure to accomplish this objective. If you have questions, you should direct them to the info@turnleafproperty.com.